← Time for share music happiness with friends right now! Puppet show created by Go Nagai, inspired by the classic 1960s Gerry Anderson puppet shows (Thunderbirds, Captain Scarlet, etc.) Another one of those things I’ve wanted to see subtitled for many years, and figured it would never happen unless I subtitled it myself. Thanks to 0choba for translation assistance with the pre-launch checks! Probably a one-off, but at some point if I have time and/or money I might subtitle the pilot episode, and possibly the recap episode that was never dubbed into English. 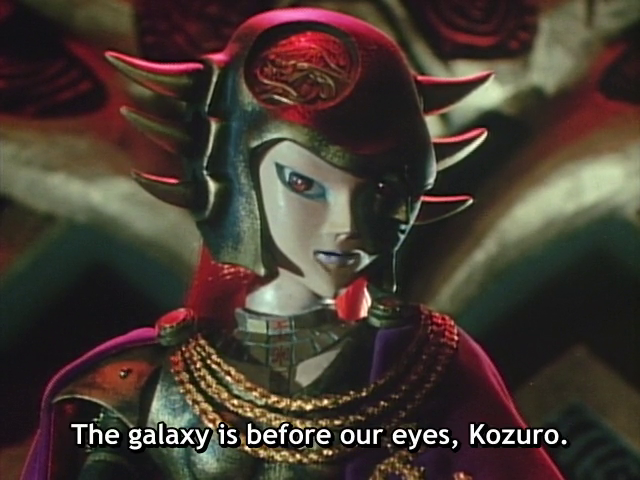 This entry was posted in subtitled video release and tagged 1980s, Go Nagai, puppets, Star Fleet, Supermariorama, X Bomber. Bookmark the permalink. TSHS. Making dreams come true (my own included) one episode at a time. Seriously, I must have been living under a rock in the 80’s, seems kinda blurry…. Thanks for the wake up call Nanto! This show was huge in the UK, but barely known in the US. There were some compilation movies that aired on Showtime, and some VHS releases, but the show never got a proper syndicated TV run over here. Yeah was pretty huge, there were two compilation movies ive got the VHS of one of them, it never got a full episodic video release but then things rarely did in those days other than Dragonball whose VHS releases could fill a bookshelf on their own though were pretty rare. While a delightful cultural artifact, I gotta say that it was fun as a one-off but not as something I’m aching to see more of. Absolutely beautiful to look at, but I don’t think anybody ever waved either plot or good dialogue near it.